Intake Valve, 2.080'' x 4.898'' o.a.l. For the maximum high performing street/strip LS1/LS2/LS6 aluminum cylinder heads, AFR's all new 230cc emissions legal cylinder head (CARB EO #D250-4) is hands down, the best choice. Specifically designed for 1997-up Gen-3 Chevy Corvettes, Camaros, and trucks. 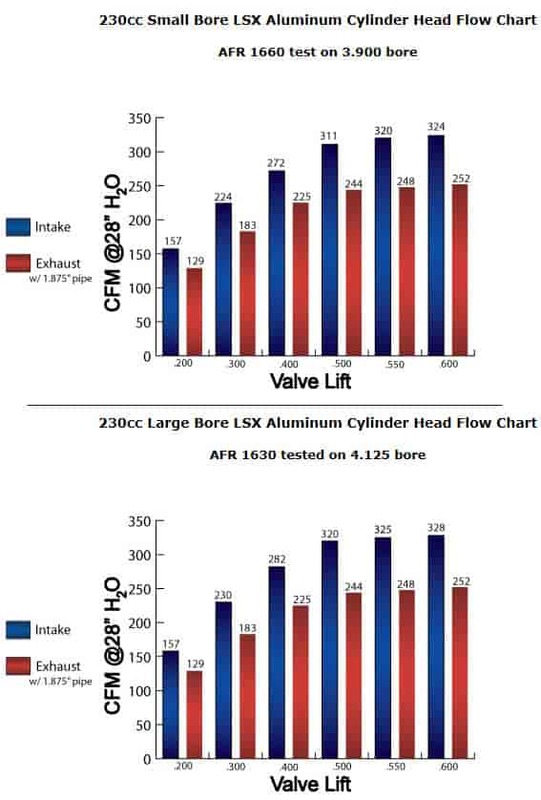 AFR's LSX cylinder head offers unmatched flow performance and features 2.080'' intake and 1.600'' exhaust valves with AFR's iron ductile interlocking valve seats. This 230cc cylinder head is ideal for normally aspirated 396-427ci and for a wild 346ci the 230 is a good choice, however some low RPM loss of torque might occur. The 230cc LSX is available with 62cc, 65cc, and 72cc combustion chambers. AFR's LSX is a direct bolt on, no special parts required. Structural features like Air Flow Research's trademark 3/4'' thick head deck, a must for blown and nitrous applications, reinforced rocker stud bosses and thick wall runners provide unparalled durability. An exclusive new modern combination chamber design with double quench pad area helps the LSX generate huge low and mid lift airflow numbers. Made in USA.